In this post you will find the deals for PM Prepcast, Agile Prepcast, PM Exam Simulator and other products promoted by OSP International. You will find discount, deals, coupon codes, promotions and other offers on Prepcast products that include certification courses & exam preparation content. OSP International was started by Cornelius Fichtner. They market their products under the brand ‘Prepcast’. They offer educational content for PMP, PMI-ACP, and CAPM certification exams. This post is kept updated with latest discounts, coupon codes, promotions, offers, and other announcements. Usually, the discount coupons of Cornelius’ websites provide change from month to month. Instructions to use Coupon Code: Enter the coupon code in ‘Gift-Certificate’ field at the time of checkout to avail the discount. 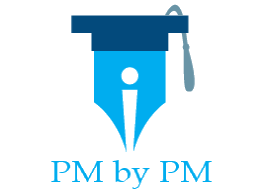 Free PMPrepCast by Cornelius Fichtner Free lessons of PM Prepcast. You can buy the full PM Prepcast by Cornelius Fichtner for $199. Free Agile Prepcast by Cornelius Fichtner Free lessons of Agile Prepcast. You can buy the full Agile Prepcast by Cornelius Fichtner for $199. Free PMP Exam Simulator by Cornelius Fichtner 7 days free access to PMP Exam Simulator. You can buy the full PMP Exam simulator for $125. Free PMI-ACP Exam Simulator by Cornelius Fichtner 7 days free access to PMI-ACP Exam Simulator. You can buy the full PMI-ACP Exam Simulator By Cornelius Fichtner for $59. Free CAPM Exam Simulator by Cornelius Fichtner 7 days free access to CAPM Exam Simulator. You can buy the full CAPM Exam simulator for $59.